This rotor is 250mm in dioameter (same as the WR250 R) but, the rotor bolt pattern is the same as the WR250X. 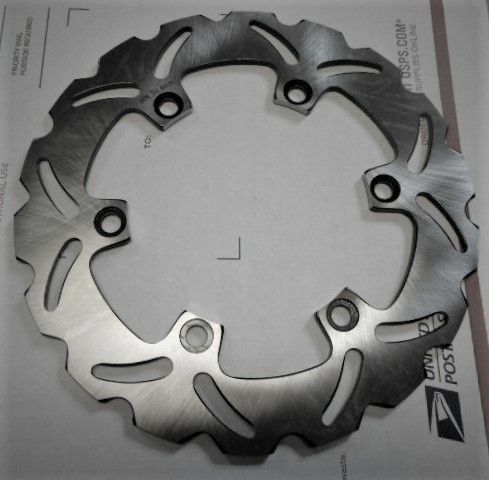 So, if you have a "R" and want to put "X" wheels on it, this is the perfect rotor for the stock front "X" wheel. The rear wheel hubs and wheel spacers are the same on the "R" and "X". The front wheel spacers are the same on the "R" and "X" as well. Includes 6 x 8mm rotor bolts.